The Rosemount 3051T pressure transmitter combines proven sensor and electronics technologies with a single isolator design for absolute and gauge pressure measurements from 0.3 to 10,000 psi. 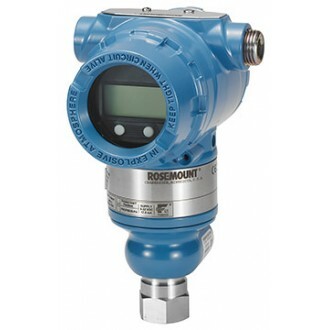 The Rosemount 3051T pressure transmitter provides a superior alternative for measuring absolute or gauge pressure with the rugged, reliable performance that is characteristic of Rosemount pressure transmitters. The Rosemount 3051T pressure transmitter utilizes advanced sensor technology to maintain a reference accuracy of 0.065% of span (up to ±0.04% with high accuracy option) resulting in total operating performance, the true measure of "real-world" transmitter performance, of ±0.15%. Additionally, the Rosemount 3051T pressure transmitter has an installed five-year stability of ±0.125% demonstrating the ability to maintain performance over a five year period under the most demanding process conditions. The high accuracy and stability of the Rosemount 3051T pressure transmitter equates to reduced variability, lower operating and maintenance costs, and improved plant safety.